In this article published in JAMA, 800 mcg of folic acid was used and found to provide a reduction in stroke in patients with a MTHFR 677 CT mutation. Even thought this genetic testing is becoming common place now, some of the less current medical community is resistant to accepting the value of this piece of the puzzle. This study (which was started a number of years ago), did not use natural folates or methylfolate - which have a very different (and superior) activity in patients with this genetic mutation - so the effect is likely to be greater when the active form of folate is used. I am eagerly awaiting a large scale study using methylfolate. In the situation where there are two mutations in the 677 position, there is a significant problem activating folic acid to methylfolate - so it is not surprising they did not find the same benefit with folic acid in the MTHFR 677 TT mutation. Methylenetetrahydrofolate reductase (MTHFR) is the main regulatory enzyme for folate metabolism. Polymorphism of the MTHFR gene C677T leads to a reduction in enzyme activity, resulting in decreased folate levels. A large meta-analysis of genetic studies and clinical trials suggested that the effect of MTHFR C677T gene variants on stroke risk might be modified by folate status. Taken together, the efficacy of folic acid therapy in stroke prevention should be evaluated and interpreted in the context of primary vs secondary prevention and individual and combined effects of baseline folate levels and MTHFR gene C677T polymorphism. The China Stroke Primary Prevention Trial (CSPPT) was designed to test the hypothesis that enalapril–folic acid therapy is more effective in reducing first stroke than enalapril alone among adults with hypertension in China. The effect of MTHFR genotype on stroke needs to be assessed in the context of baseline folate levels, as indicated by a large meta-analysis of genetic studies and clinical trials by Holmes et al. The authors showed that the effect of MTHFR genotype on stroke risk is subject to modification by population dietary folate levels (based on ecological data). They speculated that there would be a larger effect of folic acid intervention (relative risk, 0.78; 95% CI, 0.68-0.90) in a low folate region (Asia). To our knowledge, the CSPPT is the first large-scale randomized trial to test the hypothesis using individual measures of MTHFR genotype and baseline folate level. Such a design allows for (1) controlling for genetic confounding by stratified randomization based on MTHFR C677T genotype in the main analyses and (2) exploring the joint effect of baseline folate level and MTHFR genotype on the efficacy of folic acid therapy. The results from the joint analyses of MTHFR genotype and baseline folate level showed that among participants with the CC or CT genotypes, the highest risk of stroke and the greatest benefit of folic acid therapy were in those with the lowest baseline folate levels. In addition, our data suggest that individuals with the TT genotype may require a higher dosage of folic acid supplementation to overcome biologically insufficient levels (as reflected in the relatively greater folate requirement with the TT genotype). Inadequate folate intake is prevalent in most countries without mandatory folic acid fortification, including in Asia and other continents. The MTHFR 677 TT variant, which leads to a 60% reduction in the enzyme function, is present in all populations but with variable frequency (usually 2%-25%). Based on recently published US National Health and Nutrition Examination Survey folate data and our unpublished folate data from the Boston Birth Cohort, there is substantial variability in blood folate levels within the US population and across racial/ethnic groups. We speculate that even in countries with folic acid fortification and widespread use of folic acid supplements such as in the United States and Canada, there may still be room to further reduce stroke incidence using more targeted folic acid therapy—in particular, among those with the TT genotype and low or moderate folate levels. Several potential concerns or limitations are worth mentioning. This study focused on primary prevention of stroke in adults with hypertension; the generalizability of our findings to secondary prevention of stroke or adults without hypertension remains to be determined. In addition, the CSPPT was designed to have adequate power for analyzing the primary outcome but was underpowered for assessing some secondary outcomes, particularly hemorrhagic stroke, MI, and total mortality. The mechanisms underlying effect modification by MTHFR C677T polymorphisms and baseline folate levels remain to be investigated. This trial used a fixed dosage of folic acid (0.8 mg/d); the optimal dosage for a given MTHFR genotype and baseline folate level remains to be established. 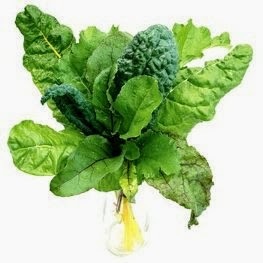 "Folate is one of the 13 essential vitamins. Dihydrofolate, a mixture of polyglutamates (ie, a number of glutamatic acid entities) is the form of folate obtained from dietary intake of green vegetables, yeast, liver, kidney, and egg yolk. Folic acid is the synthetic form of folate contained in over-the-counter vitamin supplements (usually mixed with several other vitamins and nutrients and present in low doses). Folic acid is also the synthetic form of folate contained in prescriptions written by a licensed practitioner in higher doses for medical use. Dihydrofolate and folic acid are converted to monoglutamate entites by the enzyme alpha-L-glutamyl transferase in the intestinal wall as they are absorbed. Once absorbed, monoglutamate entities are converted to L-methylfolate (MTHF), the form of folate that passes into the brain and is utilized by trimonoamine neurons to facilitate neurotransmitter synthesis (Figure). Normally, ingesting folate from dihydrofolate in the diet or from folic acid in synthetic supplements will result in adequate delivery of MTHF levels to the brain, especially in those individuals with the more efficient genotype (C677C) producing up to 100% of the enzyme methylene tetrahydrofolate reductase and who do not have depression. However, robust levels of MTHF in the brain, which may be necessary to maximize the chances of boosting trimonoamine neurotransmitter synthesis, are more likely attained after administration of MTHF rather than folic acid (Figure). Thus, administration of MTHF may have significant advantages over administration of folic acid as a trimonoamine modulator to augment antidepressants in depressed patients who do not respond adequately to their antidepressant treatment. Such patients may or may not be folate deficient, may or may not have the inefficient form of the genotype (C677T, T677T) producing 35% to 71% of the MTHF enzyme, and may or may not be taking various anticonvulsant mood stabilizers that interfere with folic acid absorption or MTHF formation, such as lamotrigine, carbamazepine, and others (Figure). Further research is needed to identify those depressed patients most likely to respond to MTHF augmentation, including studies of both unipolar and bipolar depression."